PrabhasMyHero Blog: Saaho to go Mission Impossible, Fast Five way! Prabhas’ Saaho is undoubtedly one of the most anticipated Telugu films in recent times. After canning important sequences in Hyderabad, the team is finally set to shoot predominant portions of the film abroad. The next few schedules of the film will take place across Abu Dhabi, Dubai and Romania where most of the film’s high-octane action scenes will be shot. One of the most exciting action scenes from the film will be shot on the world’s tallest building, Burj Khalifa. The last film that was shot there was Fast Five from The Fast and the Furious franchise. In the ongoing Dubai schedule, the team will shoot a 20-minute action stretch at Burj Khalifa. After months of being denied permission to shoot in Dubai, the team was finally granted permission recently. “Saaho will be an action spectacle. The film will take the use of action in Telugu cinema to a new level. The 20-minute action sequence in Burj Khalifa will be one of the biggest highlights of the film and it is being shot under the supervision of international stunt choreographer Kenny Bates. Action will leave audiences in awe,” a source from the film’s unit told Firstpost. Neil Nithin Mukesh, who plays the antagonist in Saaho, said in an earlier interview that this will the biggest action film this country would have ever seen. “Saaho is a larger-than-life film and post Baahubali, the entire nation is rooting for Prabhas. And where there is a mega hero, there will always be a mega villain too. My character has many shades like every other character in the film. It’s quite an exciting project, Sujeeth has a great vision. Saaho will be the biggest action film of 2018,” Neil said. In an earlier chat with this writer, director Sujeeth said major chunk of the film’s budget will be used for action sequences. "The scale on which it is being made, a major budget will be spent on some extravagant action scenes. 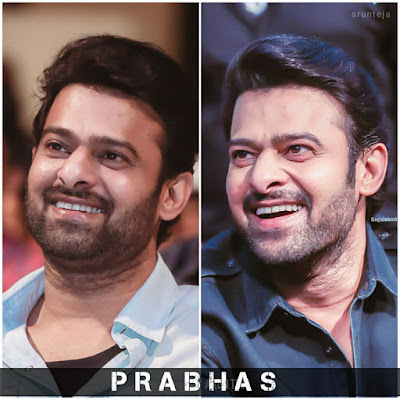 Although it will be a commercial outing, we are attempting something new and I would like to keep that as a surprise element," Sujeeth said, adding that Prabhas will perform most of the stunts on his own. Apparently, Rs 40 crore is being spent on the stunt sequences. The movie has music by Shankar-Ehsaan-Loy. While Sabu Cyril will take care of production design, Madhie of The Ghazi Attack-fame will crank the camera. "We wanted the music to have a national appeal. We roped in Shankar-Ehsaan-Loy because they understand north as well southern sensibilities when it comes to composing music. They have also worked in the south," Sujeeth had said. The team has so far released a teaser and the first look. Tipped to be an ultramodern action flick, Saaho promises to present Prabhas in a never-seen-before action packed avatar. 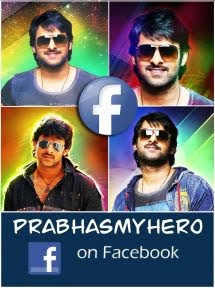 The makers of the film have kept Prabhas' look and character under wraps, further building tremendous curiosity. The film is being shot simultaneously in Hindi, Tamil and Telugu. Also starring Mandira Bedi and Arun Vijay in crucial roles, the project will also be high on visual effects.